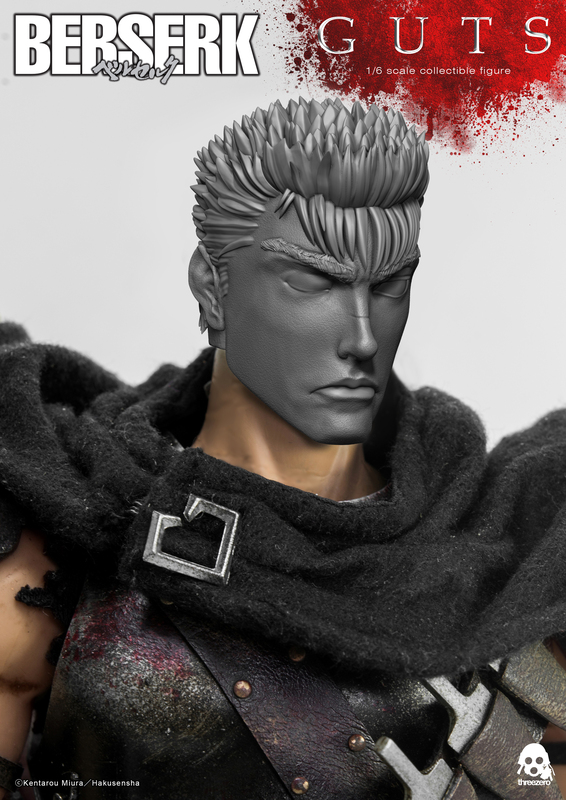 I've been thinking of making 1/6 Guts custom heads for the Threezero 1/6 Guts articulated figure. I was wondering if you guys would be interested for both unpainted and/or prepainted versions. Here are mockups of the 3 alternate heads, not sure I would make them all, just gauging interest here. Let me know what you folk think. Price would be $50 usd for 1 unpainted head. I would be interested. I've seen your previous GK sculpts and I've been thoroughly impressed with your work. I think it's a terrific idea, since pretty much the face sculpt and hair were the only gripes I had with the Threezero figure (and ultimately kept me from buying it). Your head sculpts look incredible and I personally would love to see/have painted ones. Hi Theoden, I think I'd be interested. It's a cool idea Theoden! A crappy head and face can totally ruin a figure. I wonder if more people would be interested in fixed AOW heads. Especially the statues that come with interchangeable heads, ala all the horrible Guts & Griffith AOW faces out there. Because between AOW and Threezero, so far I'm pretty pleased with Threezero's sculpts so far. Their Guts doesn't have 100% likeness, but it has a nice style to it which I like. very nice idea, now i recast Gecco heads and i try to put on 3zero doll. I would like to see some thing like this. Any updates on the heads Theoden? I know that I'm very late, but in case this is still a thing that may happen at some point; I would be interested too.